Wow! Just wow! Six-time All-Star Bryce Harper stunned the baseball world Thursday by signing one of the largest contracts in MLB history, a 13-year, $330 million deal. The No. 1 overall draft pick in 2010 and the National League MVP 2015 at the age of 23, the 26-year-old Las Vegas product is heading for a park tailor-made for his swing. In gaming news, casino mogul and superdonor Sheldon Adelson is battling cancer, a rep confirms. Adelson’s 86th birthday is August 4. If you missed the score of the Vegas Golden Knights, here’s all you need to know: Knights’ backup goalie Malcolm Subban is 11-1 on home ice and never allowed a shootout goal in his career (13 attempts). More below. 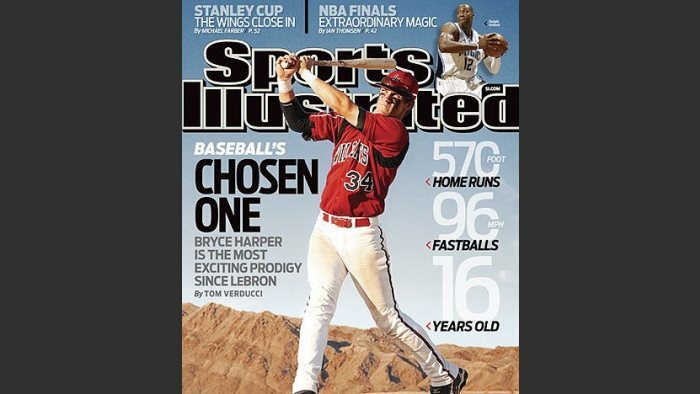 WILL HARPER’S PASSION, ARROGANCE FIT WITH PHILLIES? THAT’S A CLOWN QUESTION, BRO.